I had a chance to present a poster presentation entitled "Predictors of antiretroviral treatment associated tuberculosis in Ethiopia: a nested case control study" at the 14th Biennial SMDM European Meeting under the motto ”Preventing infections in a globalized world – what can decision analysts do?” which took place in Oslo, Norway, June 10-12, 2012. At the meeting, I attended two half day introductory short courses which helped me to understand the multidimensional perspective and comprehensiveness of decision science. It has also inspired me to advance my knowledge in the field by continuing my education. 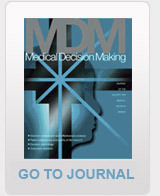 I also had similar exposure with the 34th annual meeting of the Society for Medical Decision Making (SMDM) which took place in Phoenix, USA October 17 - 20, 2012. I had a chance to meet experts in the field which can help me advance in the field. I am convinced that I have to advance my research skills in such a way that I could assess the cost, quality of life, and all alternative solutions. That is the only way to make evidence based clinical & policy decisions.